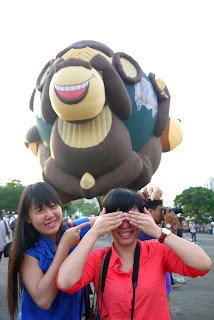 Before end i start blog, I'm grumbling to my housemate that i am so tired and not enough sleep. My housemate told me come to entertainment we need wake up early in the morning but not for the purpose of working. We should feel glad that we always wake up naturally on weekdays, only weekends we have to wake up earlier. Why i start with this statement? This is all because of the Hot Air Balloon Fiesta we wake up at 5.45am just to catch the hot air balloon before they take off. 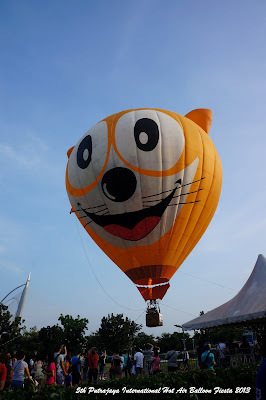 Anyway, this is the second time i went to the International Putrajaya Hot Air Balloon Fiesta with my very own interchange mirrorless camera Sony Nex5N. This event will be organised annually. 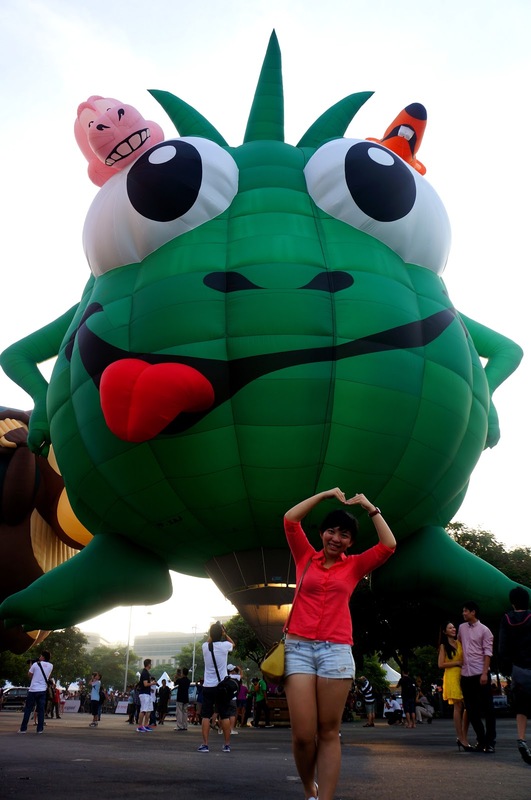 This year The 5th International Putrajaya Hot Air Balloon Fiesta 2013 falls on 28th-31st Mac. 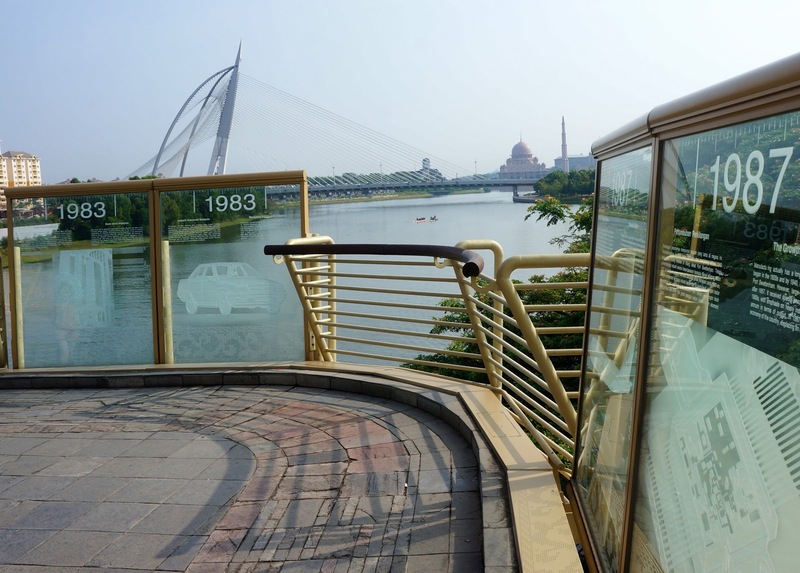 Location: Monumen Alaf Baru, Precinct 2, Putrajaya. We depart from petaling jaya at 6.40am takes around 30 minutes to reach the place. 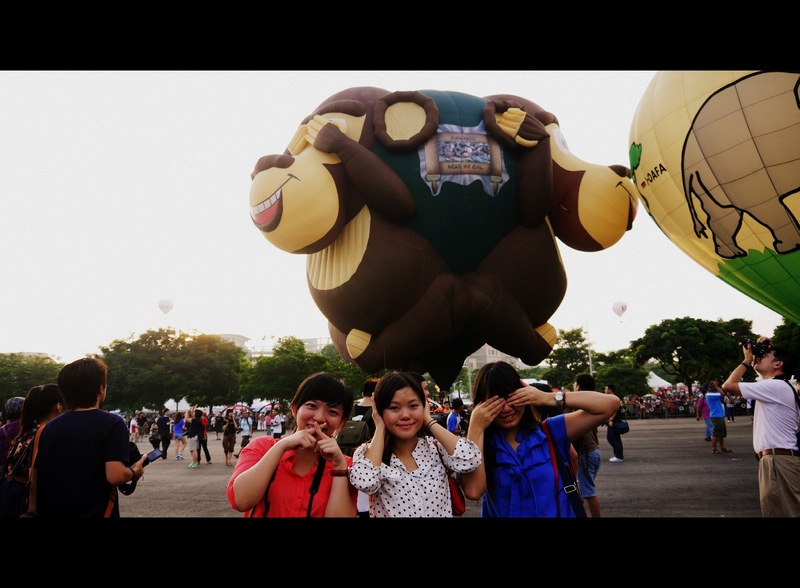 So lucky we realised we park near to the event site where all the hot air balloon set up. 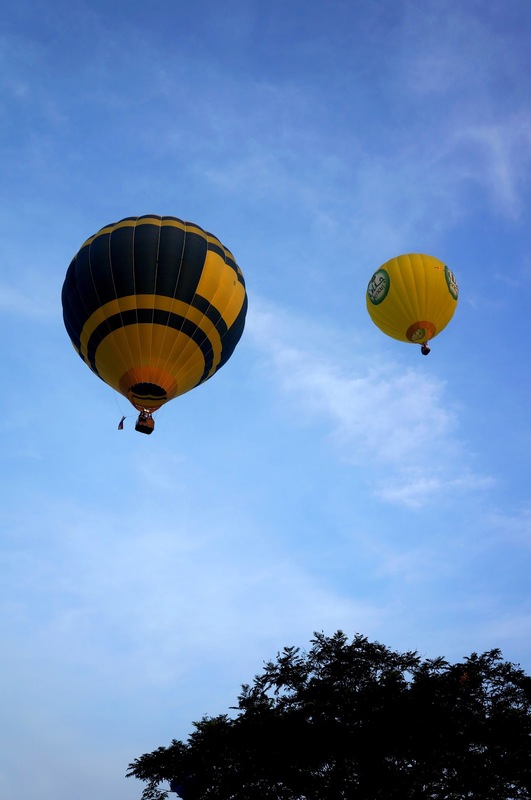 When we arrive, all the hot air balloon are just start setting up. 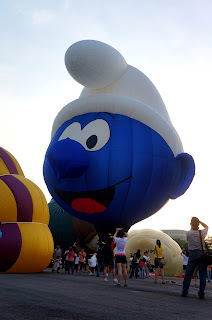 To set up the balloon very depends on the weather according to the Archimedes' principle if anyone still remember. The outside air must be lower temperature than the inside air of the hot air balloon. 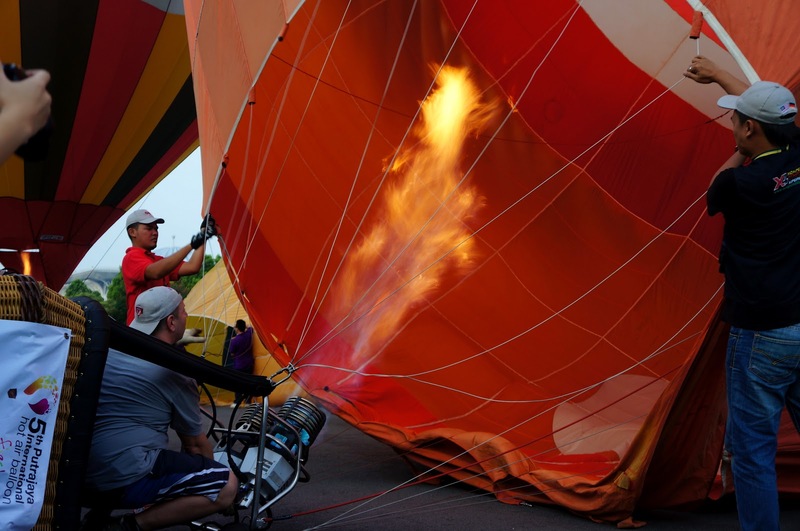 Thus, you see those balloonist use burner to heat up the air inside the balloon. 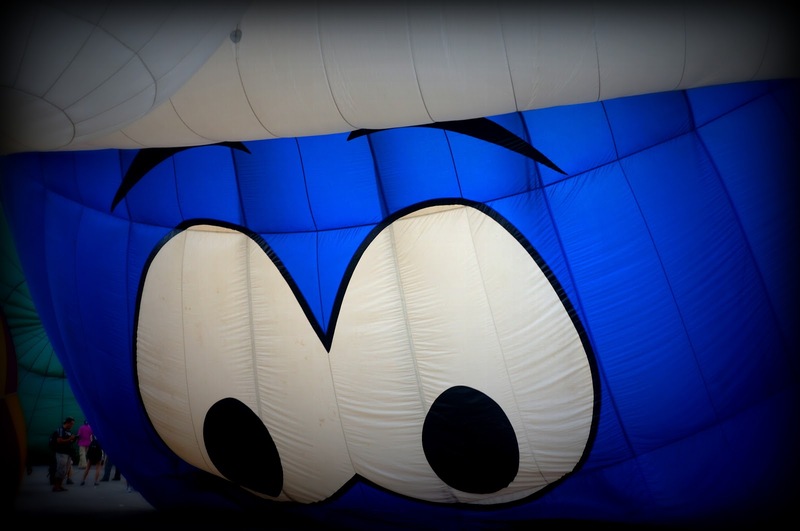 Heated air inside balloon are generally less dense than the outside cold air and makes it buoyant. That is why the event has two session only which falls in the morning and evening not in the afternoon. Initially we are very disappointed cause they only allow photographers with DSLR, we girls only bring along our interchangeable mirrorless camera, though we saw some photographers didn't have DSLR they also able to get in the launching field (Blue Zone). However, the god read our minds and know our wish. LOL. Our friend find out there is a gate being opened and we faster "seludup" ourselves and our cameras in. Inside the launching field, there is a "guard" keep chasing those without DSLR camera out from there. We are like playing hide and seek with him, the moment we heard he whistling we run away and continue our exciting capturing photos. The balloonist come from all over the world, some are from Belgium, United Kingdom, Germany, United states, Netherlands, Poland, Spain, Australia, Malaysia etc. Both Laughter and Elephant are from Germany. Front hot air balloon is from Netherland and the behind (smaller) is from Vietnam. Hi, Guess who M i? Smurf and another hot air balloon in memory of Captain Khairudin from Belgium. Hi I am from Poland. Buzzy & his friends Sally Mander & Max the Mouse from United States. 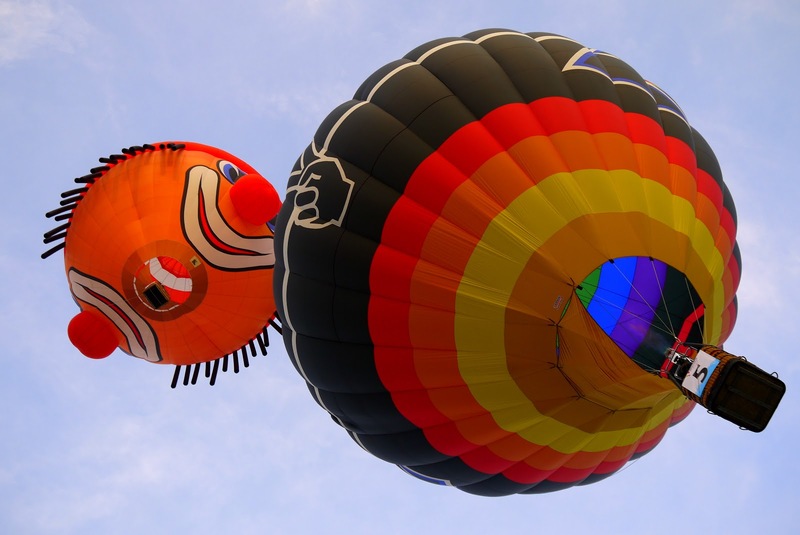 This hot air balloon personally find it is special has two faced, one is happy and another face is surly which has the Jekyll and Hyde-like personality. Speak, Hear and See No Evil monkey from United States as well. This year has two mini hot air balloons. One is headphone Balloon Martella and another one i think is to promote the movie OZ the Great and Powerful. 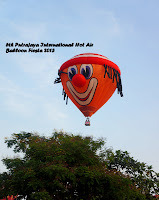 Can you there is no any passenger on the mini headphone hot air balloon but there is a small doll being tied on the basket there. 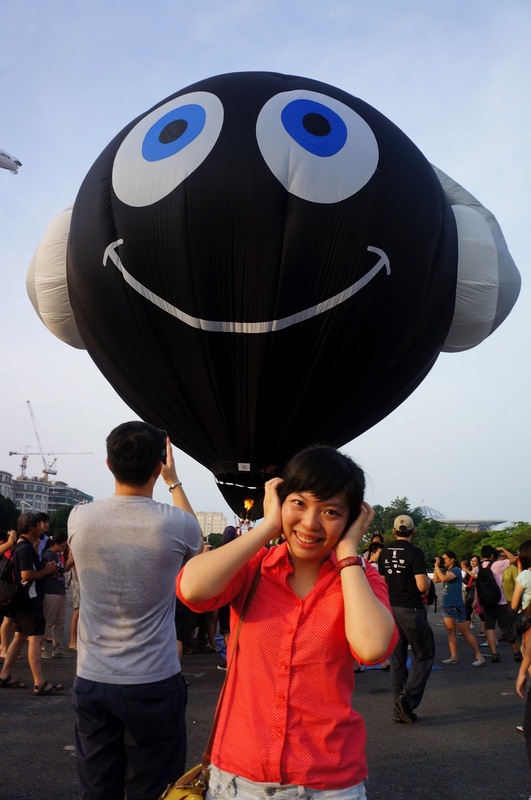 This is a mini hot air balloon who not taking any passenger not even the balloonist. This one no doubt is promoting a new upcoming movie, Oz the great and powerful. All are taken off and up on the air. 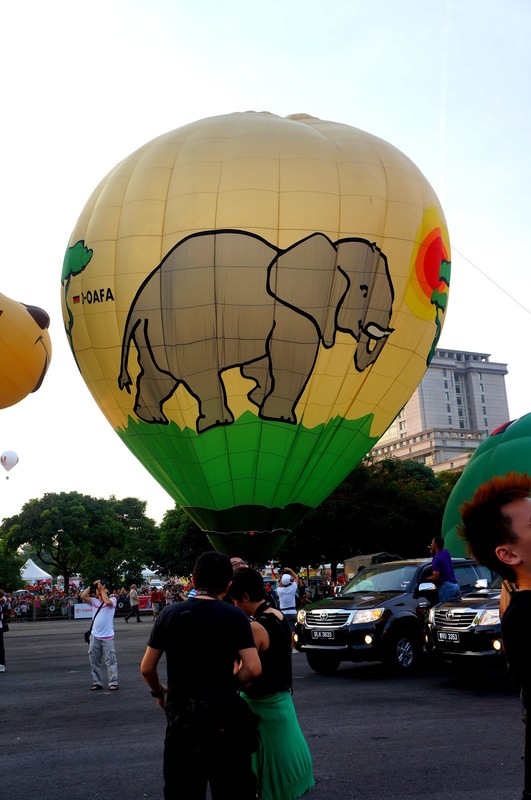 According to the newspaper the tickets getting to fly with the hot air balloon sold out fast. So you have to line up EARLIER to purchase as they have limited tickets for each session there. The ticket cost about RM20. We all did not plan to take a ride as it is just goes up and down. 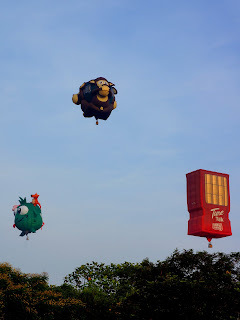 After all the flying show ends, we walk around to see what attraction and interesting around. In that event, you can also go for some games for instance Hamster Roll, Water Ball, Wall climbing, Segway, KMX. The cost is around RM5- 25 depending on what games. All this games are available in Green Zone. Besides game zone, you can also find food and drinks in Purple Zone whereas there is another Red Zone and Yellow Zone having Bazaar and you can shop over there. 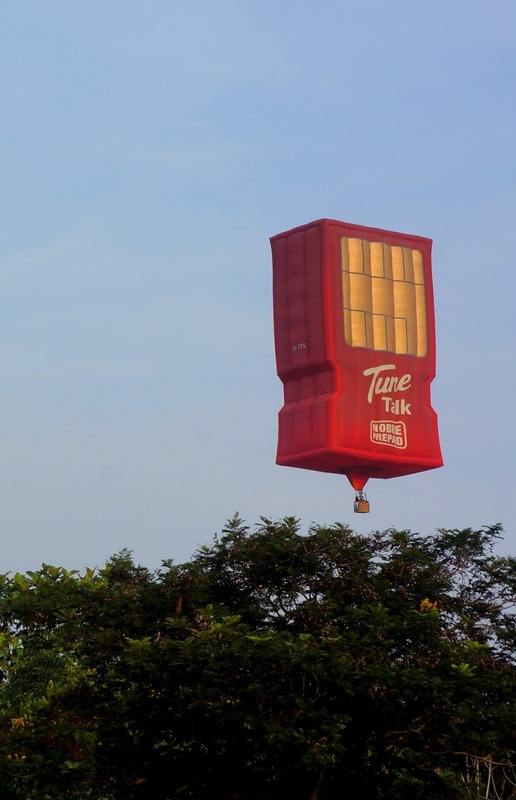 To match the theme of the events, there is a booth selling Paper Hot Air Balloon. 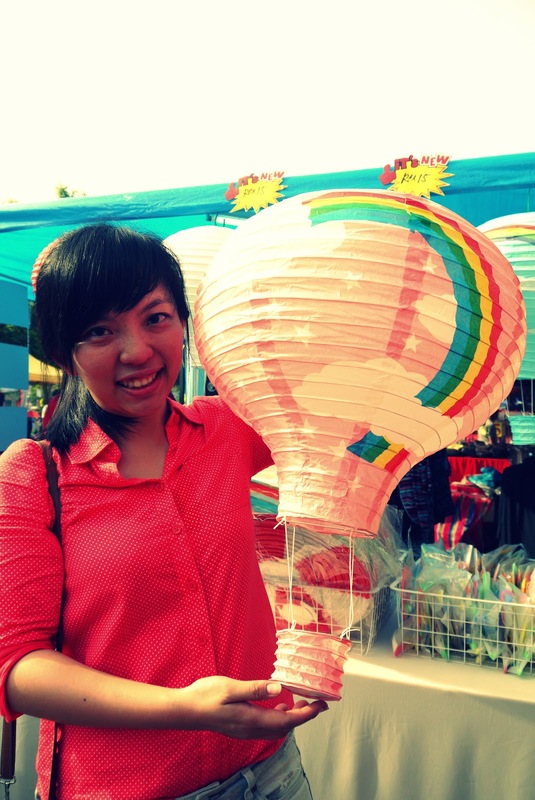 Each of it sell only RM15 but our friend manage to bargain and get it for RM10 ONLY somemore we kept taking their hot air balloon to play and SS. 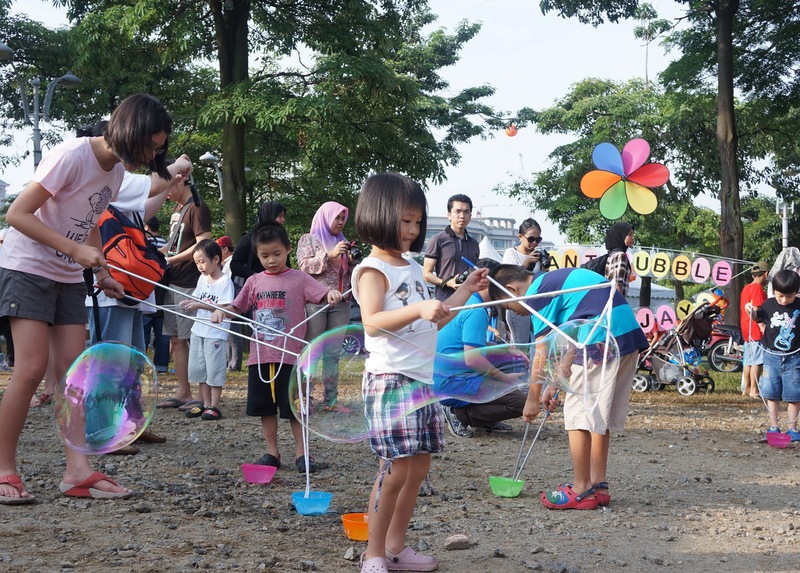 Bubbles Bubbles Bubbles OOO000oooo..We passby a place where we can find our kids time memories. When i was very young i used to like blowing bubbles. No matter kids or teenagers this is still everyone favourites and you can see the true happiness from them. As we go, we suddenly "attack" by many bubbles generated by a bubbles making-machine. 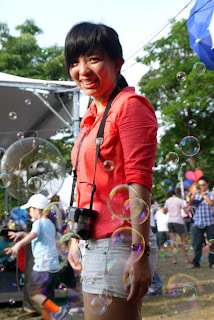 We are so excited and eager to take pictures the moment indulge in the bubbles. Besides, we also went to the Millennium Monumen Putrajaya to loiter as i never been there before. We realise maybe next year this is probably a good place for us to capture those take of hot air balloon. It is time to say goodbye to this event, we will come again next year!! We spend around 3 hours over here and is time to search our brunch. 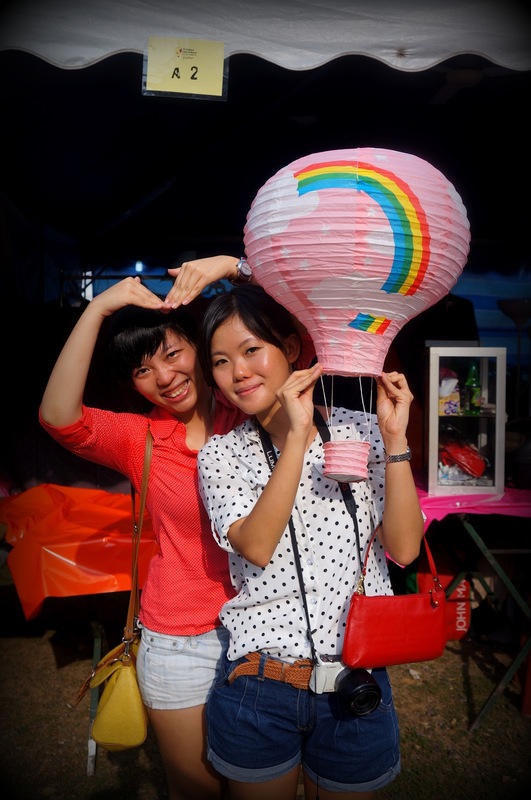 Thanks to the mercy Sun that we able to enjoy and take many beautiful pictures in this event without any drizzling.